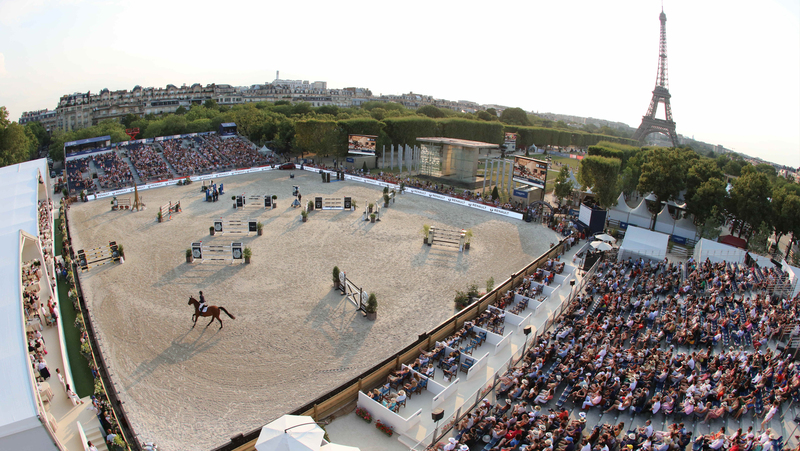 The Longines Global Champions Tour - Longines Paris Eiffel Jumping will bring together the world's best riders and horses at the foot of the Eiffel Tower for an extravaganza of top sport and entertainment. The 6th edition of this spectacular 5* international show jumping event comes at a crucial stage of the Longines Global Champions Tour and the GCL Championships and is the last French rendezvous before the summer holidays. A unique and thrilling program will bring together all horse lovers to the heart of Paris, creating a sporting and cultural ambience with something for all the family to enjoy: watch the top riders in the world train their horses behind the scenes in the warm up, enjoy shopping moments in our villages, explore the exhibitions, join the round-table discussions. Kids can enjoy ride & run races, hobby horse, pony riding school, experience riding for the first time and many other surprises inspired by LGCT - LPEJ! Book your seats now by clicking here. The village and its activities will be open from Wednesday July 3rd and will be free of charge and accessible to all during the 5 days of show. Free access to the tribunes on Friday and Saturday’s "Day" sessions. The tribunes will be accessible with prices from 30€ to 60€ according to the sport timetable and the seat category for Friday and Saturday’s "Evening" sessions and Sunday’s day session.